Laura M. “Sis” Lewis of Shelbyville, MI passed Saturday, December 1, 2012 at home with her family at her side. 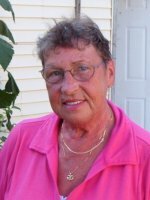 Laura “Sis” was born September 27, 1940 in Plainwell to Clifton and Laura (Root) Holmes and had been a lifelong resident of the area. She had been employed at the Otsego Theatre, the Otsego Inn, Metron of Allegan and for 20 years she was employed with the Kalamazoo State Hospital. Sis enjoyed golf, gardening, bowling, pool, going to casinos, road trips to Sault Ste. Marie, Torch Lake and Las Vegas. She especially enjoyed time with her family and grandchildren; reading, spending time on the lake and fishing. On December 31, 1960 in Otsego she married Ronald Lewis, who preceded her in death in 2004. Surviving are two sons and a daughter, Ronald Wayne (Deborah Werner) Lewis of Otsego, Betsy Lewis of Otsego and Kenny Lewis of Kalamazoo; five grandchildren, Terri Ann (Jason Sinkler) Lewis, Lindsey (Tyler) Budge, Lauran (James) Brazier, Steevi Etherton, James Werner and Brittany Simkins; a great grandson, Jason Samuel Sinkler;a great granddaughter, Madison Werner; a sister, Ruth Holmes of Grand Junction; two brothers, Tom Holmes of Texas and Jack (Linda) Holmes of Otsego; several nieces and nephews. She was preceded in death by her parents and a brother and sister-in-law, William (Betty) Holmes. The family will receive friends from 2 to 4 and 6 to 8 P.M. Wednesday at the Winkel Funeral Home, Otsego where services will be held at 11:00 A.M. Thursday, Bill Rose, Celebrant officiating. Cremation will follow. Memorial contributions may be made to V.F.W. Post #3030 or Borgess VNA & Hospice. 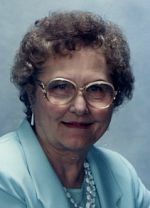 Norma Bentley of Otsego passed away Wednesday, June 20, 2012 in Plainwell. Norma was born November 9, 1920 to Motley and Mary (Rubert) Tefft in Otsego on the family farm. Norma graduated from Otsego High School in 1937 then worked at Mol’s Restaurant and was a bookkeeper at Otsego Sanitary Milk. Norma was a life member of the Otsego VFW Post 3030. She married Lyle Bentley and had two sons, Russell and Gerald ‘Gery’ Bentley. They loved fishing and hunting together. Also surviving are her grandchildren, Russell II (Jacque), Reneé (Curtis) Adams both of AZ; Brandy (Phil) Goodwin of Otsego, G.R. (Sarah) of Kalamazoo and Brittany of Otsego; 5 great-grandchildren, Donovan, Aidan and Madeline Goodwin and Russell III and Anastasia Bentley; step-son, Donald (Gwen) of Allegan; 5 step-grandchildren and spouses, and several great-grand and great great grandchildren and family. She was preceded in death by her husband Lyle in 1965, an infant brother Howard Tefft, son Russell in 2004, 2 sisters, Lois VanderMeer and Bertine Warner and a brother Motley Tefft. Friends may meet with her family from 6-8 P.M. Friday at the Winkel Funeral Home, Otsego. Private burial will take place at Mountain Home Cemetery, Otsego. Memorial contributions may be made to the American Heart Association or the VFW Post 3030 Auxiliary.